The capital and the city of love. 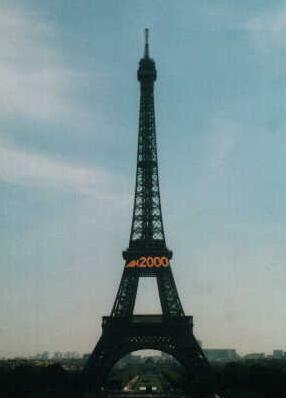 Please refer to page about traveling to Paris. A warm blooded lively city on the Mediterranean. Please see our page dedicated to traveling in Marseilles. Often referred to as the St-Tropez of Marseille, Cassis is a charming seaside town where the bulk of the excitement for visitors revolves around the quaint port area. Cafés, restaurants and interesting boutiques surround the port. Boat tour operators to the nearby Calanques de Marseille wait for clients patiently while sipping cafés and smoking cigarettes. The beach starts to fill up around 10am during the peak visitor season. At night, the port lights up as everyone comes out for drinks and a meal around the port. It's a fantastic seaside town. This glamorous city on the Cote-d'Azur is a must see while in the south. The beaches, food, shopping and nightclubs are all top class. The airport is close to the city and one can get to and from their accommodation easily by taxi or rental. While you are there you can also visit Cannes or Monaco, both within a 45 minute drive from Nice. Visit our guide to Nice. The French Alps, on the Eastern side of the country have fantastic scenery year round. The skiing, hiking and alpine lakes are a treat to any eye. The main tourist town of Chamonix has activities for all depending on the season you visit in and one can climb Mont Blanc with a guide, weather permitting. If you go in winter, make sure you bring your boots, gloves and hats because it won't be warm and bring plenty of money because skiing is not cheap. You can find out more about skiing and vacationing in the Alps on our pages dedicated to Val D'Isere and Courchevel. For more information on Provence and the Cote d'Azur in France, visit our page covering the delights of Provence. The Island of Beauty as the French call it. The locals are even warmer blooded here than on the continent and its sheer beauty, untouched coastline, huge mountains, medieval towns and delicious seafood will make you fall in love with it. You can get to Corsica by plane to the airports of Bastia and Ajaccio or you can catch a ferry from the mainland from Marseilles, Nice or Toulon. The ferry company, www.SNCM.fr, goes to a number of destinations including Bastia, Porto-Vecchio or Ile Rouse. One of the islands' main cities, Bastia bustles with the local traders and comes alive at night. You can get there by boat from the mainland or by plane to the airport approximately 20 minutes by car from the city centre. In the North Cap Corse offers pristine coastlines in the hills a short drive away. 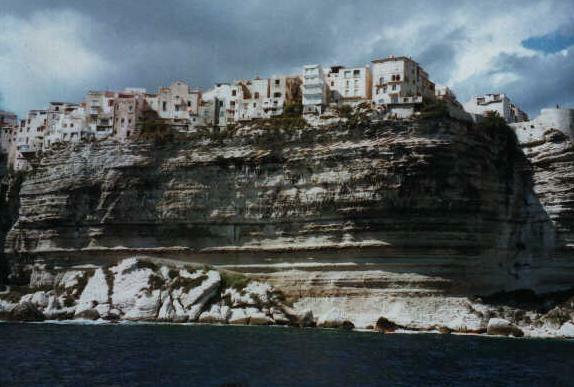 On the South Eastern tip of the island, Bonifacio over looks the straight named after it and one can see Sardinia across the straight and is a mere half hour ferry ride away. The White Cliffs of this city are a true marvel and from there you can catch a quick boat ride to the nature reserve of the Lavezzi Islands. The boat will drop you off at the Island for a few hours - be sure to take your snorkeling gear as the ocean life is magnificent!The South East also has the city of Porto-Vecchio and close by are the beautiful beaches of Rondinara, Palombaggia and Santa Giulia. If you would like to spend a day in the mountains move towards the Interior. 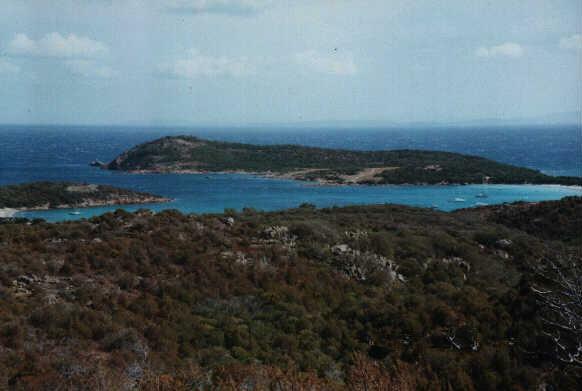 Nature lovers can have a day walk or even hike across the entire island along the officially marked route if that tickles their fancy. While in Brittany, why not visit the popular seaside resort of Saint-Malo where you can take a stroll through the old town and or say a prayer in Saint-Vincent cathedral. France is an important cultural centre of Europe. Enjoy the museums, theatre, music and many more cultural activities in urban centers and in the country side. The French Alps have some of the world's best skiing. There are resorts for every preference, from family breaks to snowboarding mayhem. Paris, Marseille, Nice, Lyon, Orange, Avignon, Toulouse, the list goes on, plenty of history to see and learn. The beaches along the Southern Coast and in Corsica are wonderful for all. Be careful though, you may end up with the nudists. Whether it be rolling plains, small hills or huge mountains you are after, French Nature is diverse and protected nature trails are plentiful. A traditional pastime in France, walking is a healthy way to visit the French countryside. There are plenty of paths in most districts and you can find more information on these in the local tourist offices. Some of the best cuisine in the world is French so be prepared for culinary delicacies. Bring some gum with you because you'll have plenty of garlic! 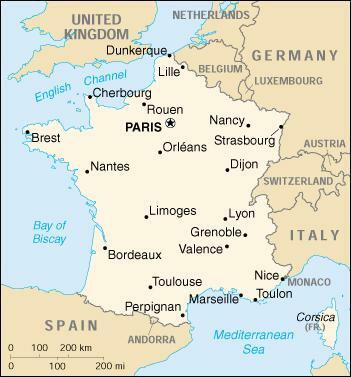 French wine tasting estates are located around the country. The most well known being in Bordeaux, Bourgogne, Côtes du Rhone and Languedoc. Remember, you're not supposed to swallow the wine you are tasting, but then again, who cares. This soup, a poor man's meal in old times, consists of rockfish, squid, tomatoes and a variety of spices. Delicious and the city's baby. Do book ahead of time and state that you will be ordering a bouillabaisse. Garlic, Garlic and more Garlic! A traditional vegetable stew, it is delicious and goes with just about anything. An Arabic dish evidencing the city's North African community, it consists of slow cooked lamb or chicken served with couscous and vegetables. Delicious. Be careful with the Arissa, it's spicier than you think. To be served cold, this Provencal wine will quench your thirst on hot summer days. This Anis alcohol, taken as an aperitif is not for all but is a traditional afternoon ritual in many circles. Why not join the locals at a small café, sit back and sip a nice Ricard. This goose liver pate is a delicacy. Served with a well-chilled sweet Sauterne, it makes for a delicious entrée but be careful as it is quite expensive and heavy to digest. A traditional dried French type of salami made from pork, beef, wild boar and virtually any other meat flavour you can think of. Terrific entrée for any meal and eaten with plenty of bread. Corsican saucisson. It is quite expensive but worth a try and also comes in a number of flavours. French wines are some of the finest in the world and there is a variety of them to keep you undecided which to pick. Reds with meats, whites with fish and a nice cold Rosé on a hot summer day will do it for you. The more famous regions include Champagne, Bordeaux, Cotes du Rhone, Cotes de Provence and Beaujolais to name a few. The French are renowned for their cheeses and there are plenty of them to choose from. Camembert, Brie and Roquefort are but a few of them. You can find excellent hotels all around France. Many of the main hotel sites will have listings for you. Find France Hotels. There are loads of hostels in France. Prices vary from hostel to hostel but are generally affordable. Search and book a hostel in France. The French are quite avid campers and as such, there are camp sites located across the country. Be sure to make sure there is one near where you are going. The last thing you want to do is drive all day long! Find out about camping in France on our page about Camping in France. These accommodations in the countryside are very affordable and probably the best way to visit the rural areas. If you are looking to relax and de-stress, this is the way. There are plenty of airports in France catering to the international travel market. Paris has Charles De Gaulle, Orly and Roissy. There are also airports in Marseille, Nice, Lyon, Toulouse, Bastia and Ajaccio. The national airline of France is Air France and you can find them at - www.airfrance.com. The SNCF, the French Train body has extensive coverage of the country and is often the most economical and best way to get from one end of the country to the other. Visit their web site at www.SNCF.com. The Eurostar is a great way to get around France and to France's major cities like Paris, Marseille and Nice, and onto London, Amsterdam and Brussels at high speed. Pretty straight forward and probably the best way to get around if you really don't know where you are going. Paris and Marseille have excellent subway systems covering the cities. Fares are inexpensive and the trains come frequently. Neither city's Metro is entirely safe in the late hours and it is best to travel in groups. Most of the major cities have excellent bus networks covering the city at affordable prices. If you plan on visiting the countryside or staying near there, we recommend you rent a car. Not so for the cities as they are confusing and the locals driving around at breakneck speeds are not enjoyable. Beware of gas prices, they are among the highest in Europe so try and get an economical car if you can. The French are stylish and enjoy their food and wine. Try and pick up a few words of the language to make your visit more enjoyable and to facilitate the inevitable social interaction there is while on vacation. Remember that if you are greeting someone with pecks on the cheek, it's two in France starting on the left cheek.